The late Nobel Peace Prize winner and environmental activist, Wangari Maathai, once said “It’s the little things citizens do. That’s what will make the difference. My little thing is planting trees.” Well in Gorongosa National Park in Central Mozambique, a small revolution is taking place as a team of young women from a remote village are working to leave their mark on the world, in their case not by planting trees… but by saving African lions. Celina Dias and Domingas Aleixo—featured in today’s newly released film-short by the E.O. Wilson Biodiversity Foundation (EOWBF)—were both born and raised in Villa da Gorongosa, the largest village in the Park’s surrounding buffer-zone. 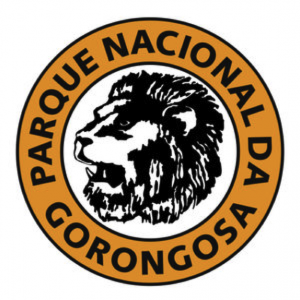 Recruited to Projecto Leões da Gorongosa in 2013, they represent the first women from Gorongosa to ever be employed on a Park science project and the first Mozambican women to work directly with lions in the wild, to study and conserve them. 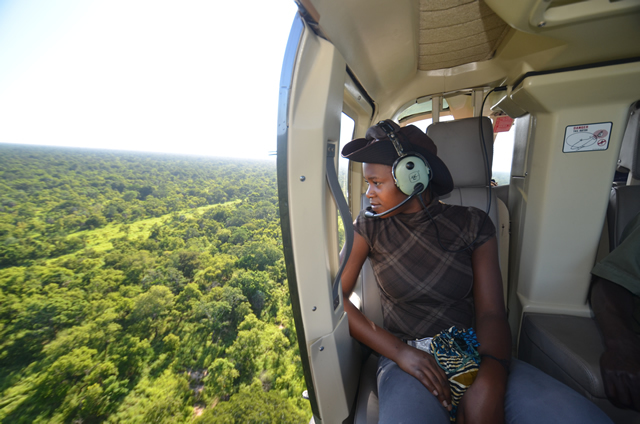 The new EOWBF short captures some of their first experiences as emerging new conservationists in the field: that “jumping out of your seat” new lion discovery moment, or the exhilaration of being whisked by helicopter to a remote gorge on the Cheringoma Plateau to retrieve camera-traps (for background see “Uncharted Territory”). In their more personal moments off-camera, I’ve also seen the heartbreak on their faces when they discover a snared animal or learn that an elephant has been poached. So despite being neighbors of the Park all their lives and never having seen lions and elephants first-hand until their first few days as science interns, in a short time a deep love for and allegiance to the Park’s wildlife has blossomed for these young women. Their path has not been, nor will it be, an easy one. Unfortunately, for much of our history, women working on-the-ground in wildlife conservation and particularly taking on leadership positions has been more an exception. Yet in recent years, we’ve seen signs (good signs!) that this imbalance is shifting, and nowhere I think has this shift been more pronounced than in the arena of lion conservation in Africa. Across the continent, some of the most visible successes towards solving age-old wildlife-human conflicts are stemming from new, women-led organizations, like Lion Guardians, Ewaso Lions, the Ruaha Carnivore Project, and the Niassa Carnivore Project. Strong women leaders (and scientists at that) have stepped up to solve achingly complex problems in ways never before imagined possible. This represents a shift away from more the more normative approach to science and conservation, and one towards a more collaborative, community-based, and peace-building approach. As a consequence we are witnessing a sea change in not only the diversity of actors and voices participating in some of the most pressing wildlife issues of our time, but also a very dramatic change in HOW such projects come together and are manifesting on-the-ground. For Celina, a working mother who grew up in the care of an older sister who made sure she finished high-school, and Domingas who was fortunate to have a father that strongly valued her education, the “dreaming of some possibility other than digging the earth” and “laying down the hoe” (Domingas’ own words) has manifested. That sentiment is in no way meant to denigrate the crucial roles women play as farmers and mothers in their family and communities, but only to say that women have dreams of being scientists (and a myriad of other roles), too. There have been many firsts on their new adventure—charged on foot by a cranky lioness; camping among the notorious Gorongosa elephants; collaring a lion and being able to actually lay their hands on the beautiful coat of the animal they so admire; and zipping across the world on a jet-plane to meet and learn from other women scientists, ecologists and wildlife vets in the U.S.
Today they’re a crucial part of our team assisting with everything from lion GPS-collaring operations; deploying and retrieving camera-traps across remote sectors of the Park; teaching ecology and stewardship to young kids; and most importantly, being proud young lion ambassadors in their respective communities. In 2014, Celina became the first full-time employee on the PLG team and the team affectionately nicknamed her “águia,” which in Portuguese means “eagle,” for her sharp eye and natural tracking abilities—she can see signs of a lion where most others won’t. 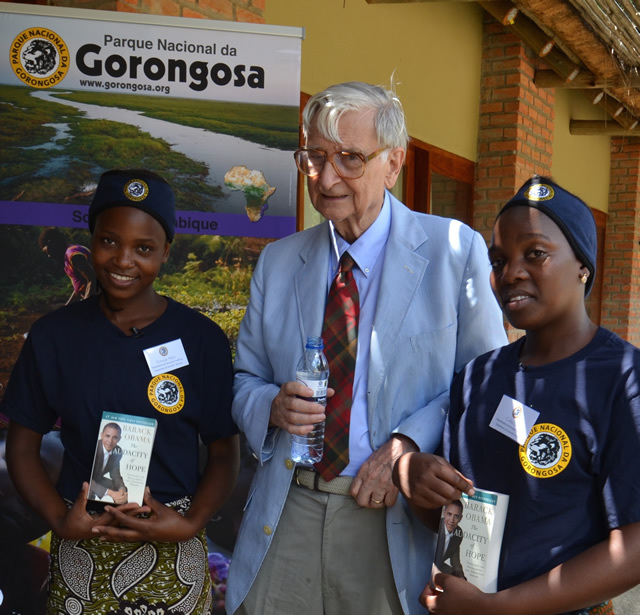 As for Domingas, thanks to the Gorongosa Restoration Project and Portuguese Embassy in Mozambique, she secured a full-scholarship to pursue her bachelor’s degree in biology which she began in 2014. 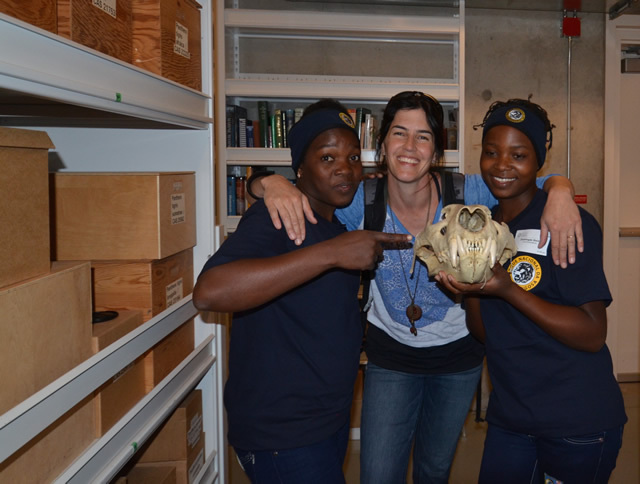 These young women are courageously carving a new path for women in conservation in Mozambique. When Celina returned from a lion safari she had co-led for kids from a village located in the Park, we asked the two-dozen boys and girls “who wants to grow up and be a lion scientist like Celina?” Despite hearing lions roar at night from where they sleep and having lived in the heart of the Park most of their lives, they had never before seen a lion in person until that day with Celina. A quiet settled over the group when the question was raised, and then shyly one of the youngest and most petite girls in the group raised her hand. I visited Gorongosa 3 years ago. Since then I have been to Chobe and Kruger, but Gorongosa was by far the most fascinating. I used to walk to the large river nearby and talk with local fisherman, or just crossed the river and socialized with the people of Senhor Vinho. I remember how much I wanted to stay there. Gorongosa will be forever very dear to my heart.